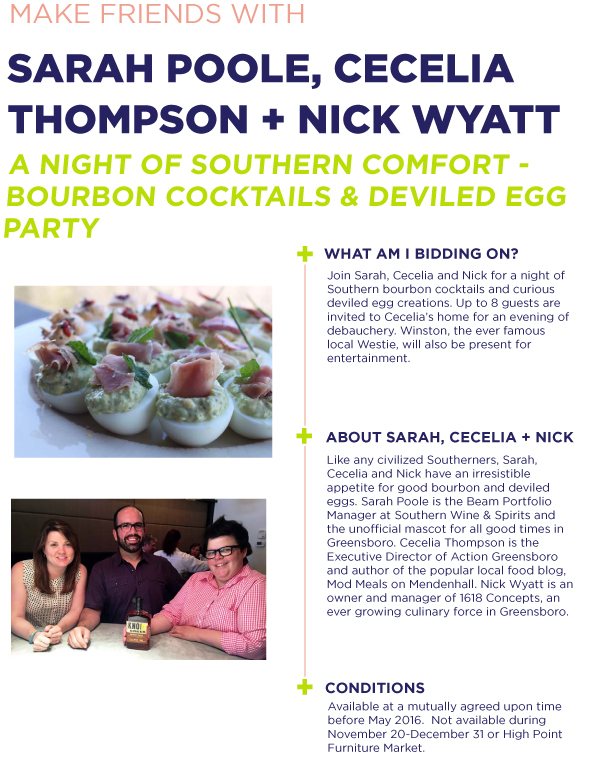 Join Greenhill on June 18th for their You’ve Got a Friend Auction! You can bid on this crazy item! Details are here! Thanks for an amazing evening, we had so much fun cooking with everyone. The food was wonderful and the whole night was magical. What a beautiful night – great weather, delicious food, new friends, and tasty drinks! Can’t wait for the next event! If you ever have a vegetarian cooking class – Megan and I would love to sign up!